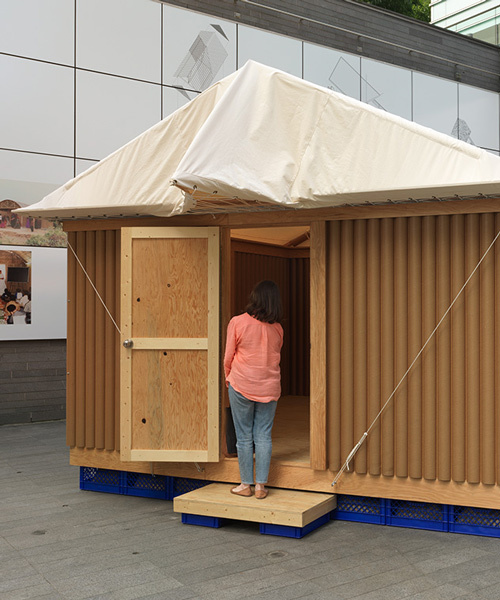 from now until october 8, 2018, the vancouver art gallery presents a full-scale version of shigeru ban’s kobe paper log house. 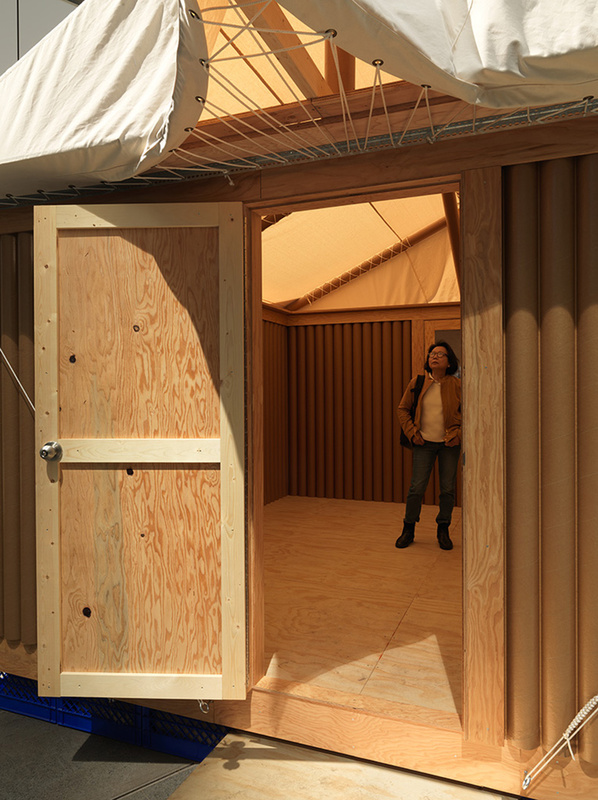 under the direction of the acclaimed japanese architect, the institution has built a replica of his 15.8 square-meter structure utilizing readily sourced materials. 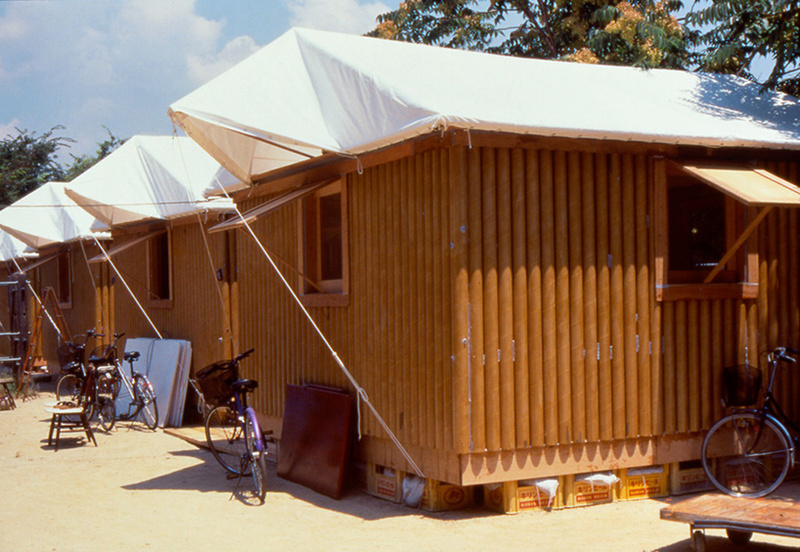 as the founder of the voluntary architects network, ban designed the shelter using recyclable materials, particularly paper and cardboard. the exhibition also features a large photomural documenting ban’s ongoing disaster relief projects — a body of work that earned him the mother theresa award in 2017.
in 1995, the coast of japan was hit by a 6.9 magnitude earthquake, with the major port city of kobe as its epicenter. over 6,000 people were killed, and 200,000 lost their homes. 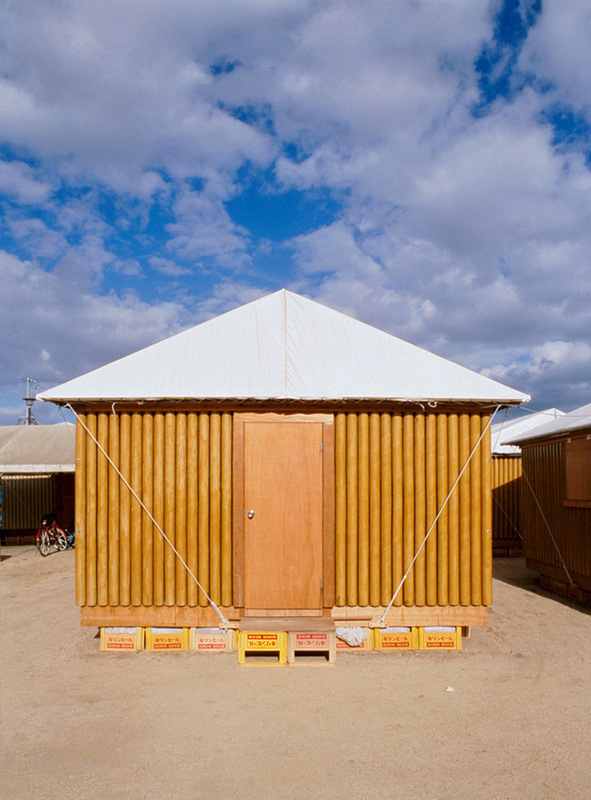 shigeru ban responded to the urgent need for temporary relief shelter by designing the kobe paper log house, which housed thousands of displaced residents. 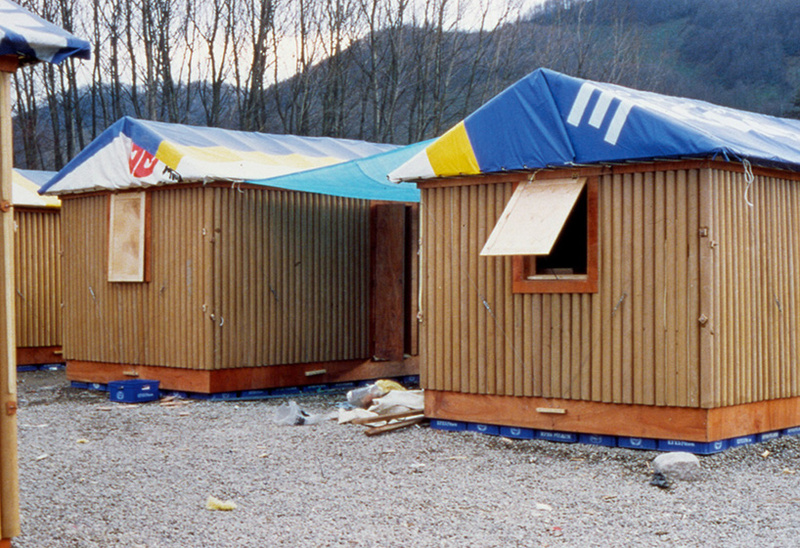 since its creation, ban has been called on by such organizations as the united nations to develop his innovative structures, regarded for their low cost, easy accessibility, and simple application. 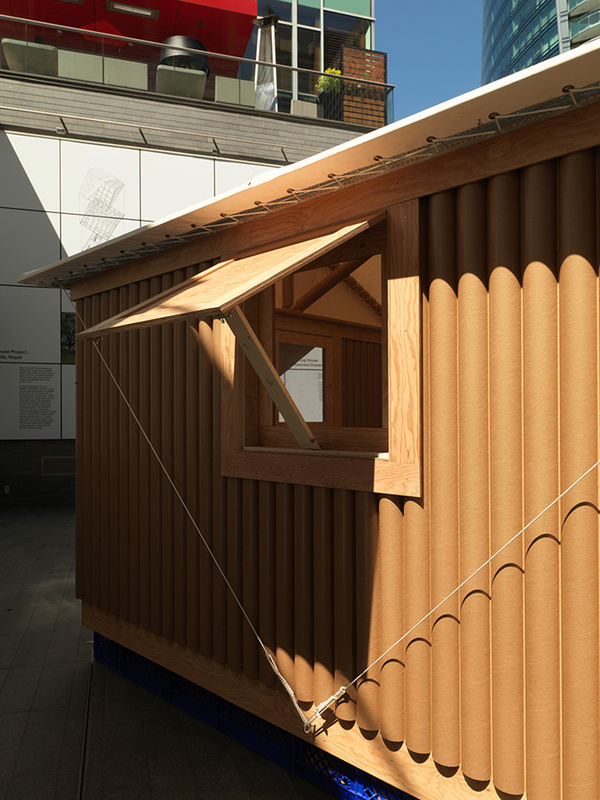 ‘offsite: shigeru ban’ is organized by the vancouver art gallery’s institute of asian art and curated by bruce grenville, senior curator. the project is on view at the gallery’s offsite location (1100 west georgia street) until october 8, 2018.